The New Ulm High School Class of 1951 held its 65th anniversary reunion on Sept. 8 at Turner Hall. 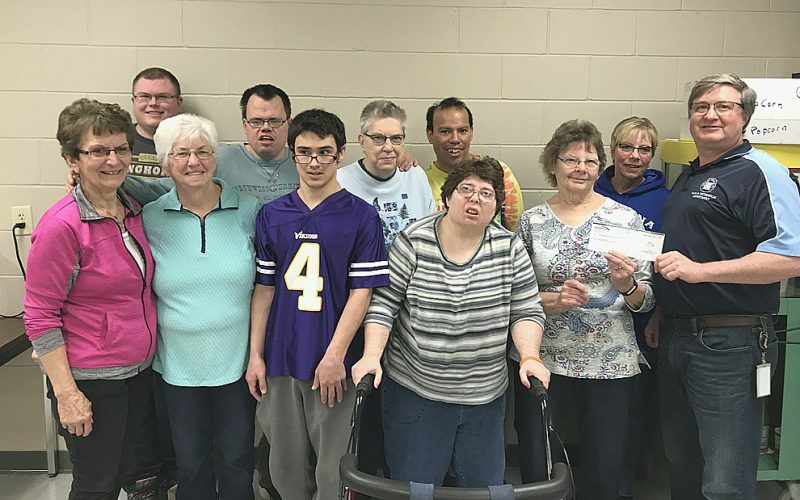 In back, from left, are Ray Brey, Eagan; Warren Heidmann, Crosslake; Arlon Schmid, New Ulm, Ralph Sondag, St. Paul; Jean (Unverworn) Milbrett of New Ulm and Marie (Kenning) Brandel of New Ulm. In the middle row, from left, are Dale Oswald, New Ulm; Connie Schmid, Shakopee; Marvin Fiemeyer, Staples; Vernon Gieseke, New Ulm, and Arlon Fritsche, New Ulm. In front, from left, are Kathryn (Ulrich) Fiemeyer, Staples, Carol (Halvorson) Martens, Mankato; James Hoffman, New Ulm; Jane (Lippman) Swenson, Nicollet, and LaVonne (Hesse) Kuelbs, New Ulm. Present but not pictured, Orton Ulrich, Redwood Falls.